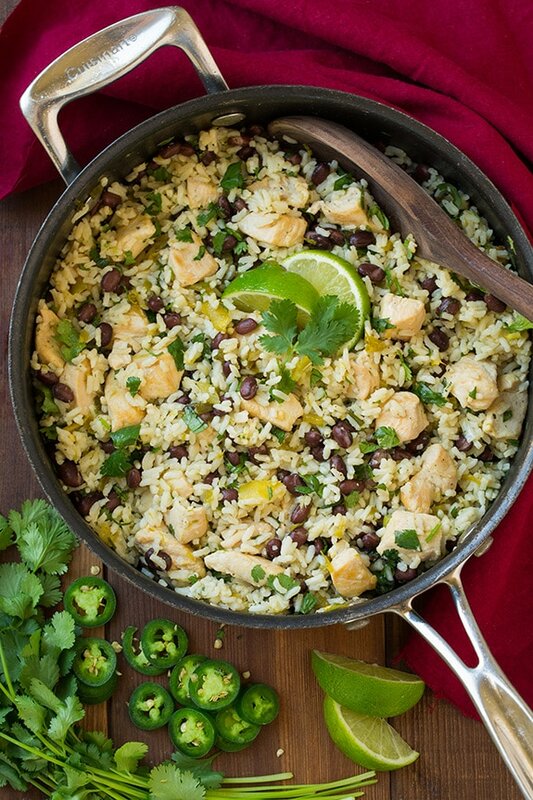 This One Pan Cilantro Lime Chicken is so easy to prepare and is packed with flavor. 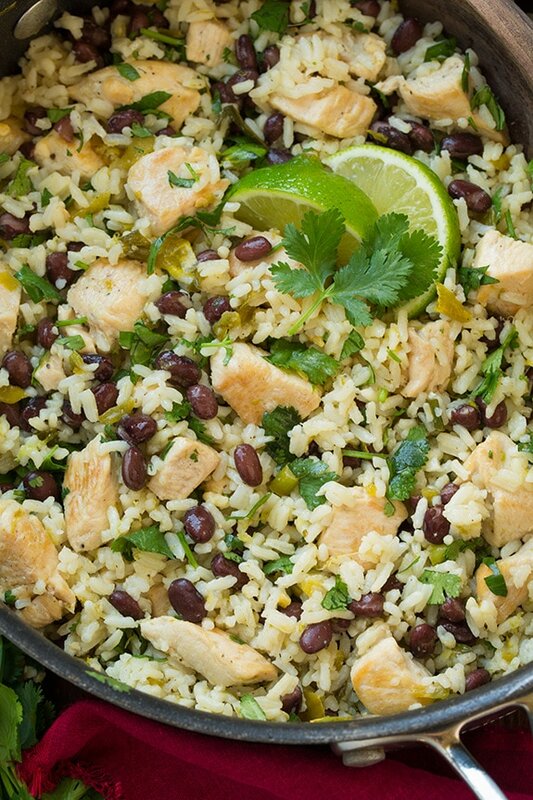 It’s served with black beans and rice making it a filling and satisfying meal as it is but you could also go all out and add your favorite Mexican toppings. This has got to be one of the easiest dinners I’ve ever made! Not only that but it’s healthy, completely delicious and everyone loved it, kids included! This is one of those recipes I know I’ll turn to time and time again because it’s so easy to prepare yet its so flavorful and it’s totally filling. You’ll love that it’s cooked all together in one pan because it’s faster to prepare and there’s less mess to clean up! Want to see how easy this one pan recipe is? Watch the video! If you want this more burrito bowl style, you can definitely serve it with shredded Monterrey Jack or cheddar cheese, diced Roma tomatoes, diced jalapeños, diced avocados and sour cream. I served mine with avocados and loved it but it’s also amazing just as it is. I also want to try it with minute brown rice next time (then I’d just add 5 minutes to the resting period as listed on the package). 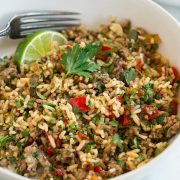 Healthy, hearty, totally easy, and full of vibrant, irresistible flavors, yes it will have you coming back for more! 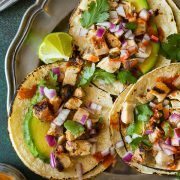 This One Pan Cilantro Lime Chicken is so easy to prepare and is packed with flavor. 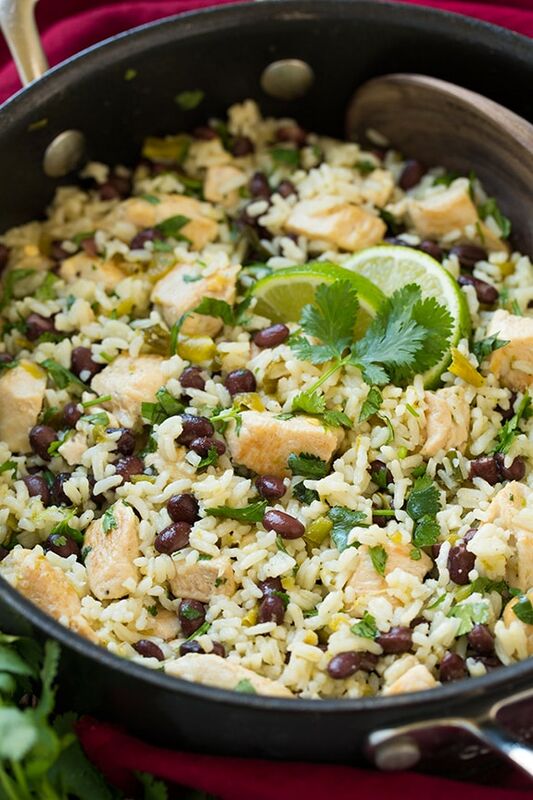 It's served with black beans and rice making it a filling and satisfying meal as it is but you could also go all out and add your favorite Mexican toppings. Stir in broth, green onion greens, green chilies, lime zest, lime juice, black beans and season with salt and pepper to taste. Bring mixture to a boil, add rice, fully immerse rice in broth, and allow to boil 20 seconds, then remove from heat and immediately cover with a lid. Let rest 5 - 6 minutes.